Now that the exam is over, my AP Physics B class will spend the rest of the year exploring more cosmology and particle physics. We already did a little cosmology when the BICEP-2 results were announced and we did an abbreviated particle physics unit before reviewing for the AP exam. My “target” for today’s class was: “determine the age of the observable universe”. After much searching, I found an excellent Hubble’s Law lab from the University of Washington. 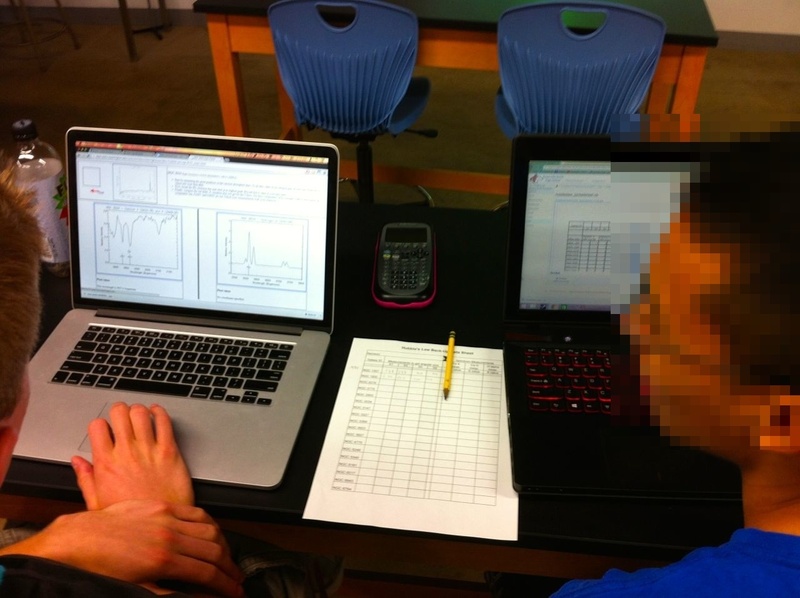 I reviewed several labs and decided this was the best for several reasons: students examine actual data of galaxies, students use spectra to calculate the redshift, and students use the apparent angular size to calculate the distance. The materials published by the University of Washington are excellent and include a complete spreadsheet to assist in the analysis. We need another day to finish examining galaxies, plotting data, and calculating the age of the observable universe.